Pick up your badge and registration materials at the Stetson Lounge. Then grab a drink and catch up with friends, old and new. Come early for your chance to grab a seat on one of three boats for a free twilight river tour of San Antonio’s famous River Walk! Boat tours depart at 6:00 PM and 7:00 PM and launch near the hotel. Arrive early to the Stetson before the boats leave, please. We will walk over as a group to the boat departure (which will be in front of the hotel). Badges, which you will pick up, are required for the boat tour. Everybody loves a good GIF! GIFs are revolutionizing the way we communicate in the modern workplace via apps like Slack or Hipchat. A good GIF can help convey complex emotions than can often be misrepresented or misunderstood in just the written form. More importantly, a culture of GIFs creates a positive team morale. The (secret) origin of the GIF: Humanity has always loved short form video content! The first films ever made were GIFs. Edison made thousands of short films that can be considered GIFs. (Check out “The Sneeze”, for instance, https://www.youtube.com/watch?v=2wnOpDWSbyw). Ain’t that neat? Looking at GIFs objectively: What makes a good GIF. How does it tell a story? Working with GIFs practically: What are good GIF practices for the workplace? What’s ok to share, what’s not ok? How do you set “rules”? Does it stop being fun if you set rules? Choosing the right tools for the job: Let’s first look at ready-to-use tools like Giphy and GIF keyboard. Even though Giphy can sometimes have a bad rap, I maintain this is because people don’t know how to use it. Let’s learn all things you can do with Giphy that you may know about! Choosing to create your tools: Let’s look at “build it yourself” tools and setting up your personal workflow. Store your GIFs in Dropbox or version-control them in Github. Use custom Alfred flows to share them, or even create your GIF API! GIF OFF! To close out the panel, let’s have a GIF OFF! Using a custom hashtag for the talk, I will present a prompt on stage, and have conference attendees send in the best GIF to match the prompt. Let’s see who will be crowned the GIF king or queen! We tend to like working with pixels. They are predictable and easy to understand. But the real power of CSS is found in relative units: em and rem and vw/vh. Their exact meaning is determined with a “late binding” in the browser, where they change depending on their context. In this talk, we’ll unravel the mystery of relative units. I’ll show you how to build flexible designs with simpler code. I’ll cover how to make your design responsive without a single media query. And we’ll dive into one of CSS’s newest tricks: CSS Variables, which offer far more flexibility and control than the SASS/LESS variables you may be used to. Come learn how to stop thinking in pixels and embrace CSS’s late binding of styles. Animation is key component of beautiful and useful product design. Salesforce, Google, and IBM all feature motion design in their design systems, and there’s every reason you should, too. When designers and developers agree upon constraints, they can create UI components faster and present a unified, polished look and feel users appreciate. combining those components into unique yet universal animation patterns. Whether your project is big or small, if it has a style guide, you will want to include motion design. In this talk, you will learn how to bring animation to heel. Pattern libraries have become a vital part of design and website development but it's important to understand that a pattern library is NOT the same as your framework. Much like you'd care for a flower in your garden, pattern libraries must have food, water and plenty of sunlight (exposure). Why are pattern libraries are a necessity? What you should build into your pattern library? How can pattern libraries help you build and develop faster? How should you maintain a pattern library after your project has launched? We tend to think of web performance in purely objective terms: seconds to first paint, milliseconds of latency, and so on. We build apps to be as objectively as speedy as possible and blindly hope that fast feels fast. Unfortunately, as anyone who's ever waited in line at the DMV can tell you, humans are terrible at judging time. If we instead shift to address perceived performance directly, we can make our creations feel even faster than they already are. By exploiting how humans see time, we can build experiences that feel immediate & satisfying. Creating engaging products starts with our own fascination. Empowering our users, designing for emotion, and marrying what is useful with what we find intriguing pays dividends for our own fulfillment as developers as well as the people who use what we create. This talk will illuminate some of the ways that we can manipulate code for great effects, with exciting yet practical purposes. We'll talk about data visualization, innovative SVGs, VR and immersive experiences, and even subtle cues. We'll explore key differences in our processes, and why innovation in our field starts with opening our minds to new ways of working with code. Out of all the web technologies, CSS is probably the easiest to learn, and the hardest to maintain. Without proper organization and architecture, your CSS can grow unwieldy, bloated, and inefficient. If you are stuck in the weeds, then how do you recover? Having just gone through both a major redesign and re-architecture, I'm going to give practical advice that you can take home and directly apply to your application. Get tips on how to tidy up, de-clutter, and organize your CSS code base. I will show you how each of the typography techniques can be used today and applied with progressive enhancement! HTTP/2 is the up-and-coming standard for the web, and will have a large impact on the way web developers do our jobs. It introduces multiplexing, parallelism, and header compression, among other things, to make building on and browsing the web a much more enjoyable experience. There are no more excuses to keep you from adding smooth, reactive animations to your web projects. The web has evolved, and these kinds of dynamic animations aren't just for native mobile apps anymore. So how can we implement an aesthetic, reactive user experience in modern browsers? The answer is CSS variables, and they're much more powerful than you might think. In this talk, we will harness the dynamic power of JS and CSS variables and learn about functional reactive animations. You'll soon be breathing new life into your projects with these spirited animations that react to user input. And of course, demos will be shown that exhibit the many possibilities of JS and CSS variables to inspire you. Expose styles and components from CSS in a documentation format that enables component re-use and encourages keeping it up to date. Located in San Antonio's historic first neighborhood, we celebrate the start of CSS Dev Conf 2016--rain or shine! Be sure to bring and wear your badge. Maverick Plaza - La Villita Historic Arts Village 418 Villita St.
Forms are often a key part of websites: they allow users to buy things, sign up, participate, communicate, and get things done. But why are so many online forms confusing, cluttered, and difficult to use? The three most important things you can do to make a form easier to fill out. The best way to style a form with CSS to make sure it looks good on any browser, device or screen size. Which HTML elements and attributes to use to make sure your form is accessible, is understandable, and shows up correctly on the screen. How to validate form data and provide useful error messages — but also how you can help users fill in the correct information before submitting. What you need to do so that your form is easy to complete on a touch screen. We'll take a look at what new tools we have to animate any element on a page along any path we can draw, instead of limiting ourselves to straight lines or complex keyframes. What are Motion Paths, and how are they used in SVG (SMIL)? Why would I want to use them outside of SVG? How can we use them with CSS/JS? What's next for this technique? 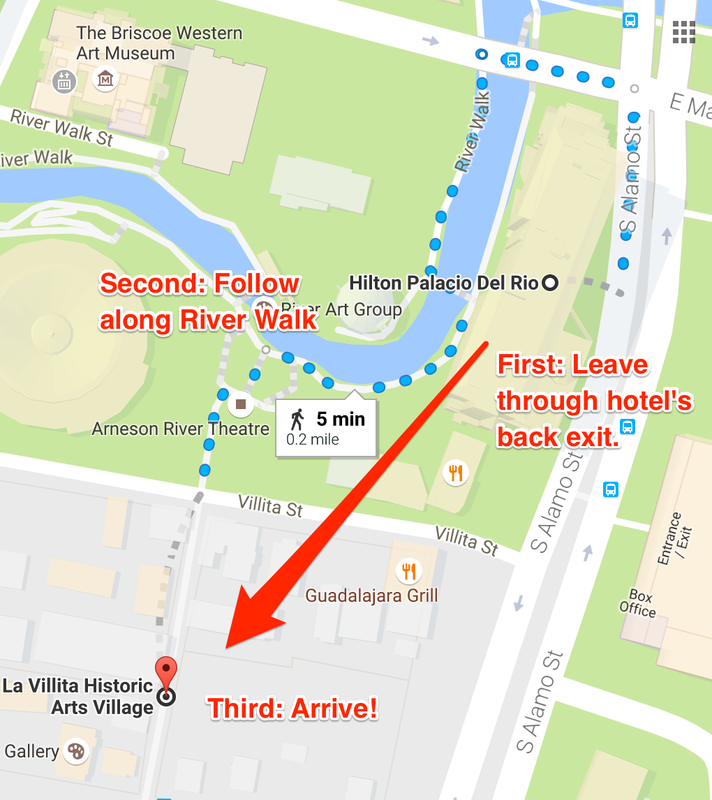 Let's remember CSS Dev Conf 2016 by gathering at The Alamo grounds at the Alamo Hall and Patio. We will be located towards the right side of the Alamo Shrine to the back, we will enjoy the pleasure of fellow attendees' conversation, a refreshing beverage, and demonstrations by historian actors for our group. Entrance into the Alamo Shrine is free--so, take advantage of the time to see San Antonio's most visited landmark. However, it is a church. Visitors should note that silence is golden, while photography and social media'izing is not allowed. The gift shop is scheduled to be open until 8 PM. NOTE: Bring your conference badge or if you are Dribbble member, RSVP. Badges and RSVPs will be checked.